After downsizing your life you will find that you are able to spend your leisure time just as you please. Perhaps take up a new hobby or travel more? Unfortunately, travelling both home and abroad can cost a lot of money and at a time when you have to watch your budget carefully you need to find the best travel offers available. Keep an eye on your local travel agent’s window for last minute bargains. Last minute deals are always tempting and now you are able to travel at a few days notice the off peak deals will be very tempting. If there are only several days to go before departure you may find that you can haggle for an even better deal – why not give it a try? By travelling to popular destination at off peak times there will be special deals on hotels and car hire. If you pick a time when the children are still in school not only will the place you visit be quiet but cheaper as well. If you are planning to visit London you can save money by not only travelling outside of the commuting hours but by purchasing an off peak travel card you can afford to take your children and grandchildren along as well. A family rail card lasts for one year and if travelling with a child a family can make big savings when travelling anywhere in the UK. 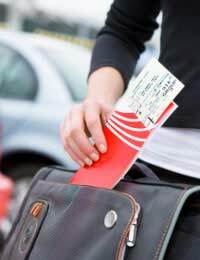 When travelling by rail you will find that there are discount vouchers available for entry into major tourist places as well as special offers in restaurants. On reaching retirement age most UK citizens now receive free travel passes. This can enable you to travel all over the UK without paying a single penny. Whether this is a local trip or travelling further afield to places you have only read about the pass is something worth using to enjoy yourself once you downsize. Seasonality can affect whether a tourist spot is busy or not. Now with more time on your hands go to these places out of season and enjoy yourself at a slower pace of life. Keep an eye on travel news whether on TV the Internet or through clubs and associations that you belong to. No one wants to plan a day out only to spend it in a traffic jam or held up by rail works or strikes. Tune into the local radio station as you travel to keep abreast of what is up ahead. When shopping look out for coupons and vouchers for cheaper or free entry into tourist spots. By collecting vouchers from food packets or newspapers you can travel to the continent for a couple of pounds or even visit a National Trust property free of charge. By joining a local community group or club you will find that there are trips arranged during the week that can be enjoyed with your friends from your neighbourhood. Special rates are normally available along with tea and a tour guide.